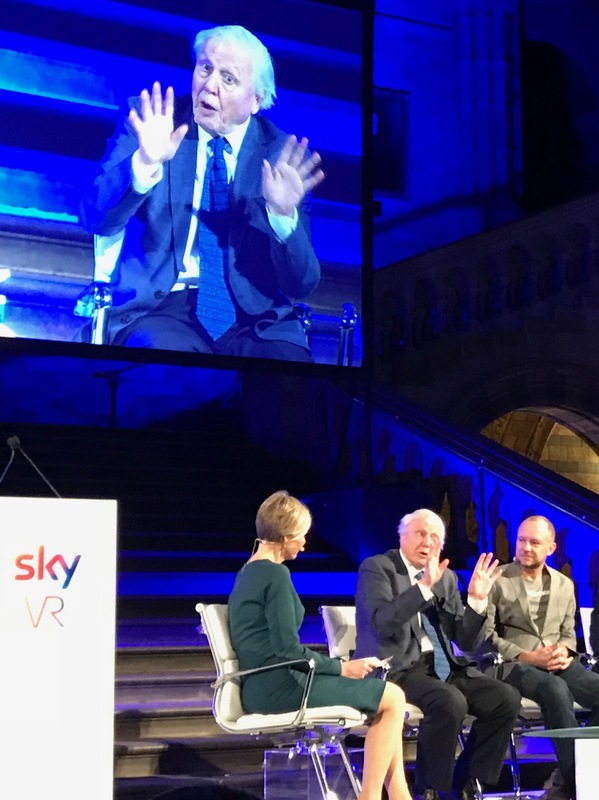 Sky’s new VR experience, Hold the World, is set to launch this spring, offering the unique opportunity of a one-on-one audience with natural history broadcaster, and national treasure, Sir David Attenborough. The interactive experience instantly transports the viewer from the comfort of their own home to London’s Natural History Museum – where a launch event for the project was held – where they can get their hands on rare specimens from its collection as they go behind the scenes to explore areas usually closed to the public. Attenborough, who was filmed by more than 100 cameras and digitally recreated as a 3D hologram for the experience, acts as a private guide, imparting his expert knowledge on a series of rare artefacts and objects from the museum’s collection, including a blue whale, a stegosaurus, a trilobite, a dragonfly, a butterfly and a pterosaur. People will be able to look at these ancient and delicate objects in a level of detail that has only been made possible through the technology of VR. They can virtually pick up, hold, enlarge and expand the rare objects, giving them unparalleled access to explore and understand some of the world’s rarest natural history specimens. Hold the World marks the next phase in Sky’s VR development, as it is the first fully interactive production from Sky, using a combination of interactive video game and TV documentary technology. It will be available to Sky customers this spring when the Sky VR app relaunches as part of our customer loyalty programme, Sky VIP. Commissioned by the Sky VR Studio, Hold the World was produced by immersive content studio Factory 42, in association with Dream Reality Interactive and Talesmith and through collaboration with the Natural History Museum’s digital team. Creature animation was produced by The Mill. The experience was directed by Dan Smith (Factory 42), and executive produced by John Cassy (Factory 42) and Neil Graham (Sky). – Bringing football fans closer to the action in places they don’t normally have access to. – Photorealistic 3D holograms of Anthony Joshua in action, allowing viewers to experience like never before what it’s like to come face to face with the world champion. – A range of Sky Original Production scripted content, from the opportunity to delve behind the scenes of Britannia, to a fully narrative story for the smash-hit Italian drama Gomorrah, which was especially written for VR.